In response to the Gospel call to serve the poor and spread the Good News, the Catholic Services Appeal Foundation of the Saint Paul and Minneapolis Area (CSAF) works as Christ’s hands and feet throughout the 12-county Archdiocese. 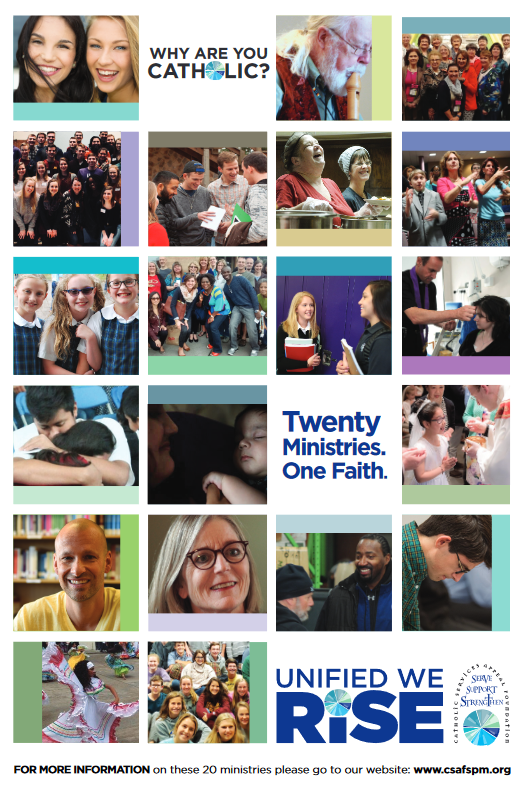 An independent non-profit organization, CSAF partners with 20 varied outreach ministries, thousands of individual donors, and over 185 Catholic parishes to serve the poor, support life, and strengthen the Catholic faith. We invite you to learn more about each of the vital ministries supported by the Foundation, and to join us in transforming lives through the Gospel! For all whose lives are transformed with support from the Catholic Services Appeal Foundation. May the Catholic community respond to the Gospel call to serve the poor, support life, and strengthen the faith as together we assist those in need.